Today I am excited to be sharing my Friendship Story with Links of London. They say that you are the average of the 5 people you spend the most time with. So, I try to spend my time around people who are positive, have good values, and continually lift others up. My blogger bestie Kaitlin is all of the above and then some. She is one of the most kind hearted, and genuine girls I have ever had the pleasure of knowing. We met at NYFW last September and became quick friends after that. We started going to weekly events in New York together, and later roomed together at February Fashion Week. We could tell you some pretty funny stories about our adventures together, and have had a lot of good laughs. These friendship bracelets are a little reminder of just that, and they are absolutely gorgeous. These beauties are not your ordinary friendship bracelet; they are great quality and perfect for stacking or wearing alone. I’ve worn mine almost every day, and I love that they are adjustable making them super comfortable with no flopping around on my wrist. I know thats not a big deal for a lot of people, but for me it was huge. We both chose this gorgeous rose gold option, which I personally thought was perfect for fall. Not only that, but they make an amazing gift for your bestie. If you would like a chance to win a set of friendship bracelets for you and your bestie, make sure and read below. If you’re impatient like me and simply cannot wait, you can get one friendship bracelet now for half off! Such a cute top! 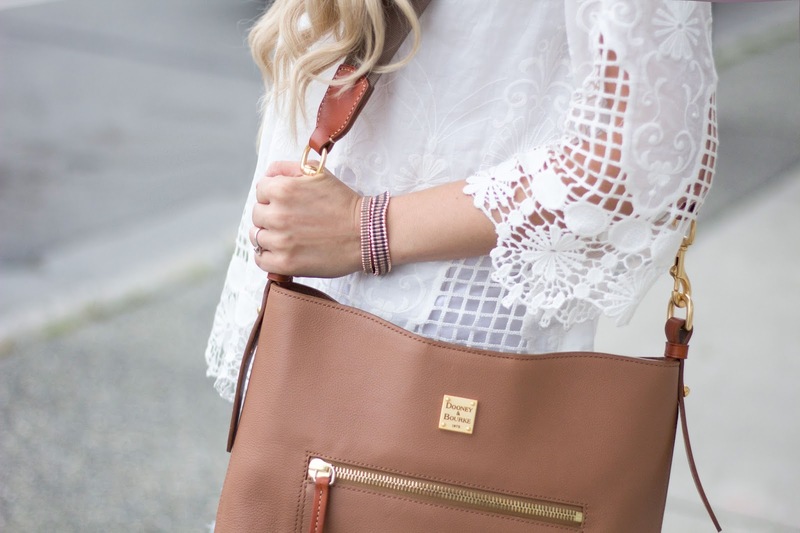 I love the idea of friendship bracelets that are fashionable for you and your bestie! 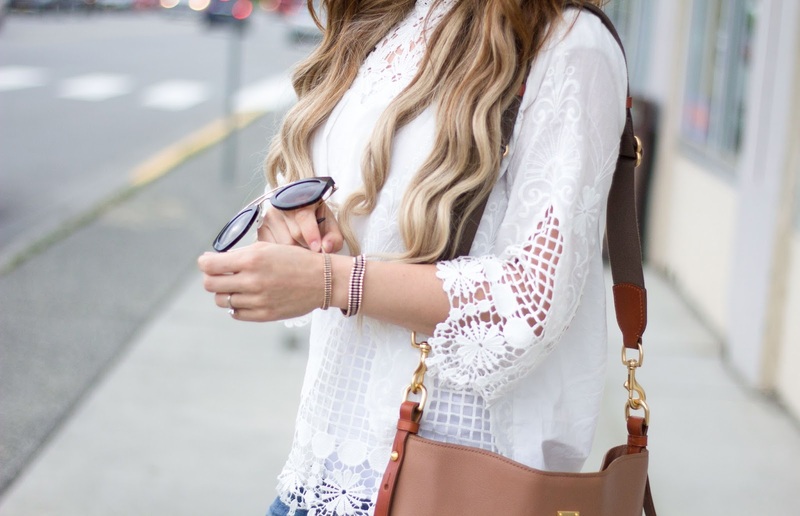 Love everything about this look, the white lace top is beautiful and the bracelets are so dainty and pretty. 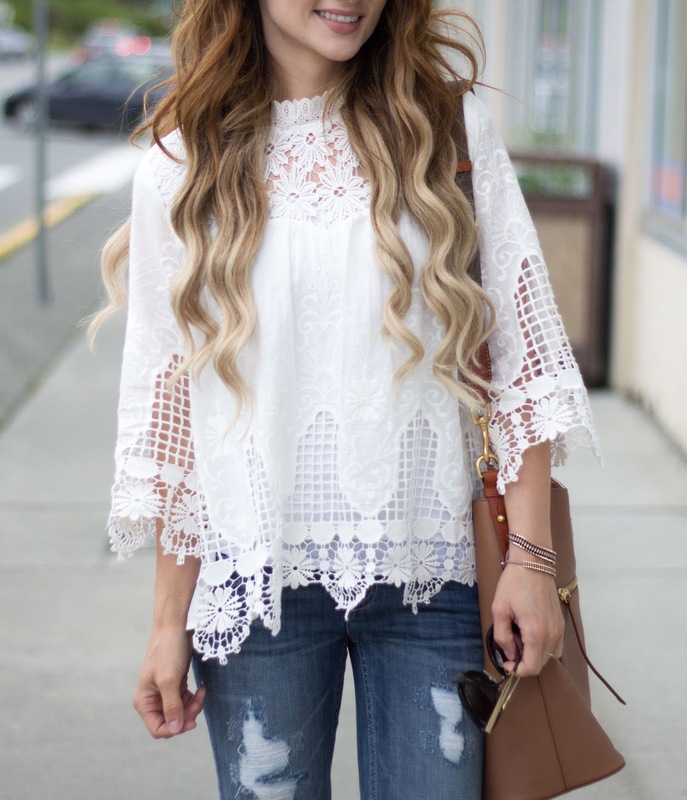 OMG – Love the bracelet but this white lace blouse is to die for! !